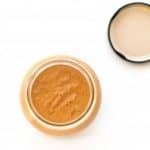 Thai Salad Dressing or Thai Peanut Sauce Or Dipping Sauce recipe makes a great dip for fresh spring rolls, egg rolls or for an easy Asian salad recipe. 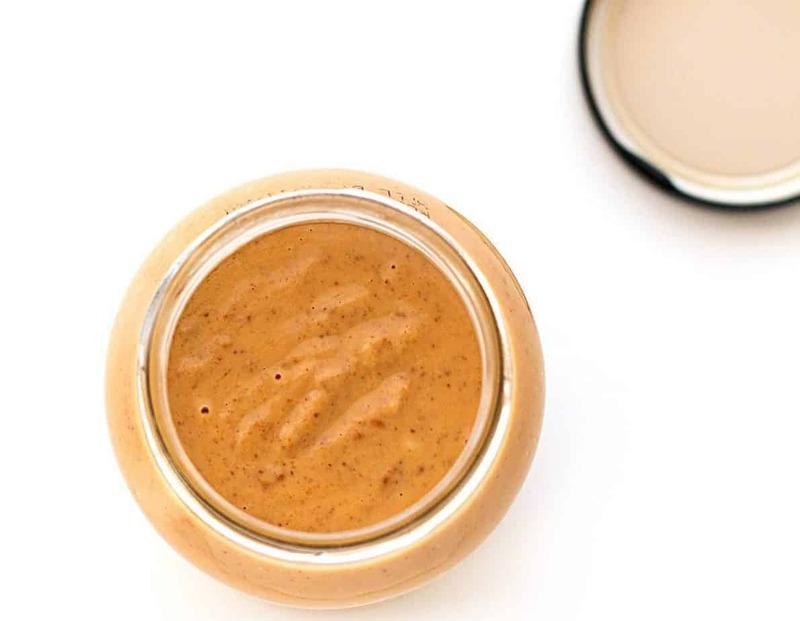 This Thai peanut butter salad dressing is so easy to make and you can find most of the ingredients in your pantry. A flavorful Thai Peanut Dressing with simple ingredients: peanut butter, apple cider vinegar, agave and without fish sauce. You can’t go wrong with this 5-minute Asian vinaigrette salad dressing recipe. I love to make my own homemade salad dressings because they are healthier and cheaper than the store-bought stuff. 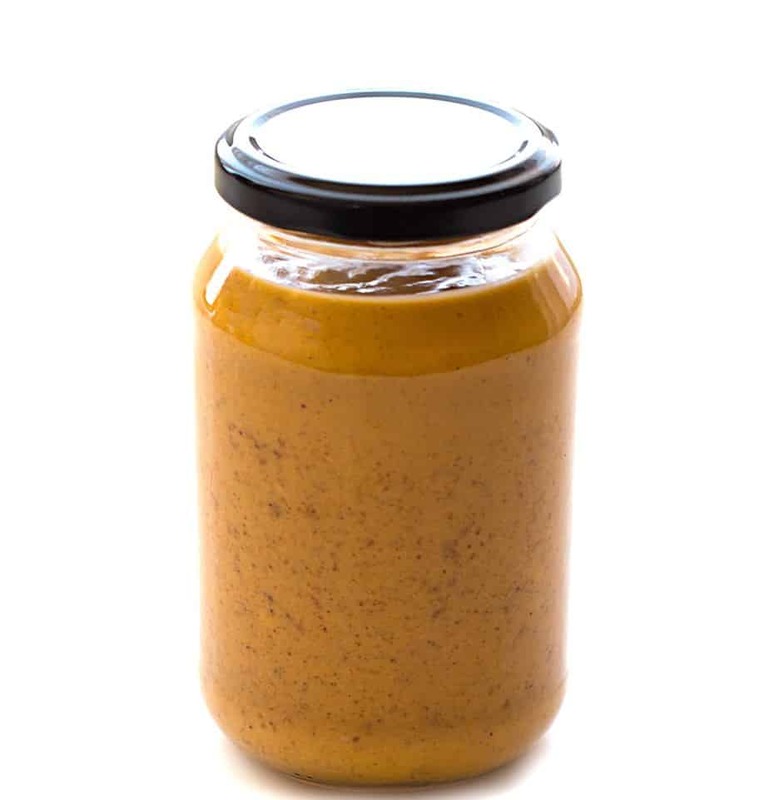 Making this homemade Thai Salad Dressing or Thai Peanut Sauce doesn’t require special equipment. You can use your high-speed blender, food processor or a mixing bowl and a whisk. To make this Thai salad dressing, I used organic agave nectar. Agave nectar has a more neutral flavor than honey and it’s 1 1/2 times sweeter than sugar or about 50% sweeter than honey. Feel free to use honey or sugar instead of agave nectar, be sure to use less of it. This healthy salad dressing recipe is very nutritious and filling. 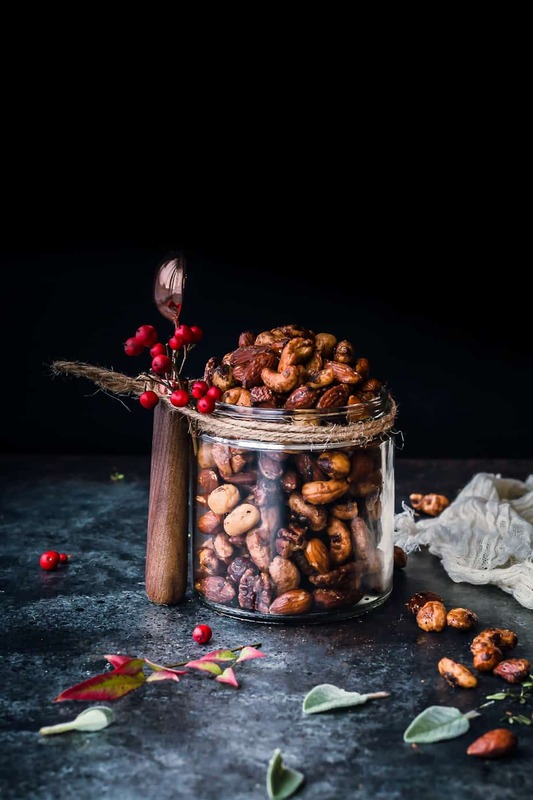 Peanut butter is packed with protein, fiber and monounsaturated fats (good fats that are found in natural foods, such as olives and avocados). Apple cider vinegar could lower cholesterol, lower blood sugar, help you lose weight and boost energy. You can read more apple cider vinegar benefits here. 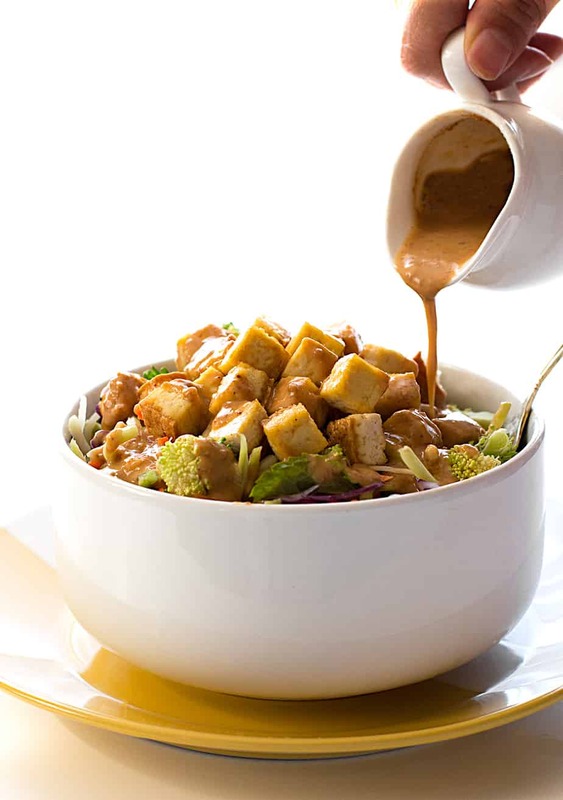 Try it and let me know how you like this Thai salad dressing recipe. 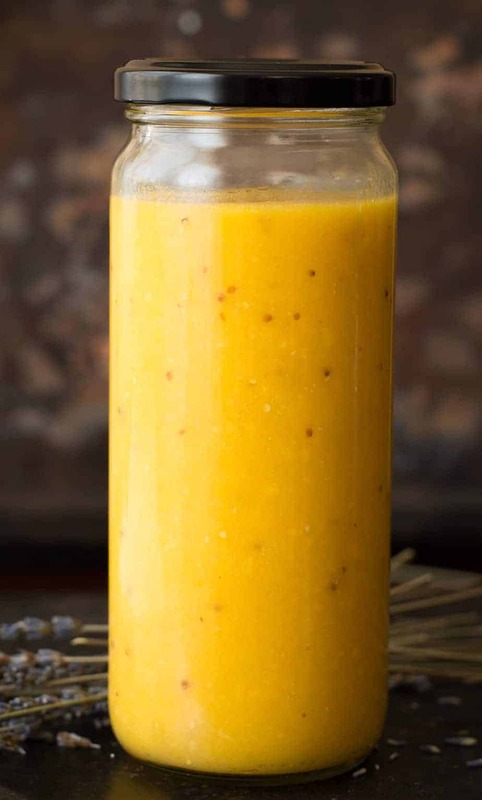 This popular Thai salad dressing is perfect for green salad, egg rolls, spring rolls, crispy tofu and also good with almost any salad ingredients, from raw or cooked vegetables. When I have a homemade salad dressing that I really like I can reverse engineer a salad around it. Juicier vegetables with a bit of crunch like cucumbers or sugar snap peas come to mind when I taste this Thai salad dressing. With it doubling as a dipping sauce it can easily be used to brighten up the taste of a platter with these or other veggies. I know quite a few people that are on a health kick to lose weight or improve their sugar and cholesterol levels, and feel like the only way they’ll be able to keep eating salads is by “cheating” with an unhealthy dressing. 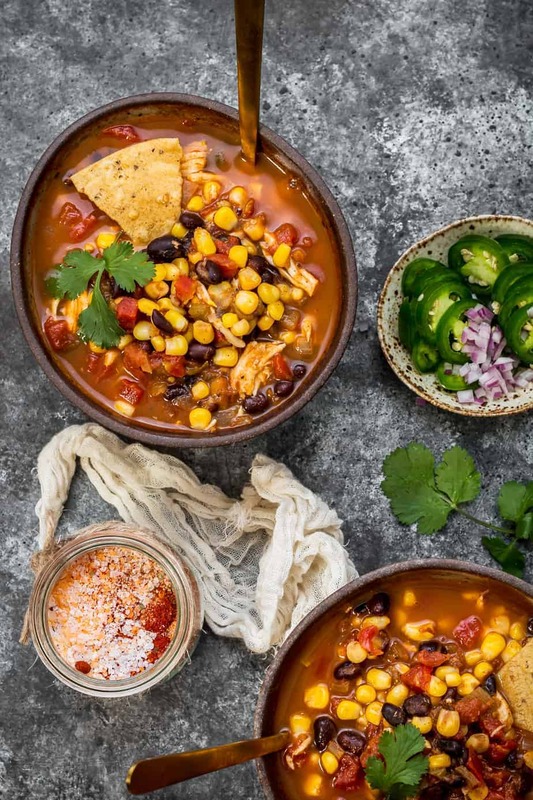 It’s really not necessary though, there are so many delicious dressings out there that don’t compromise the other healthy choices you’re making. 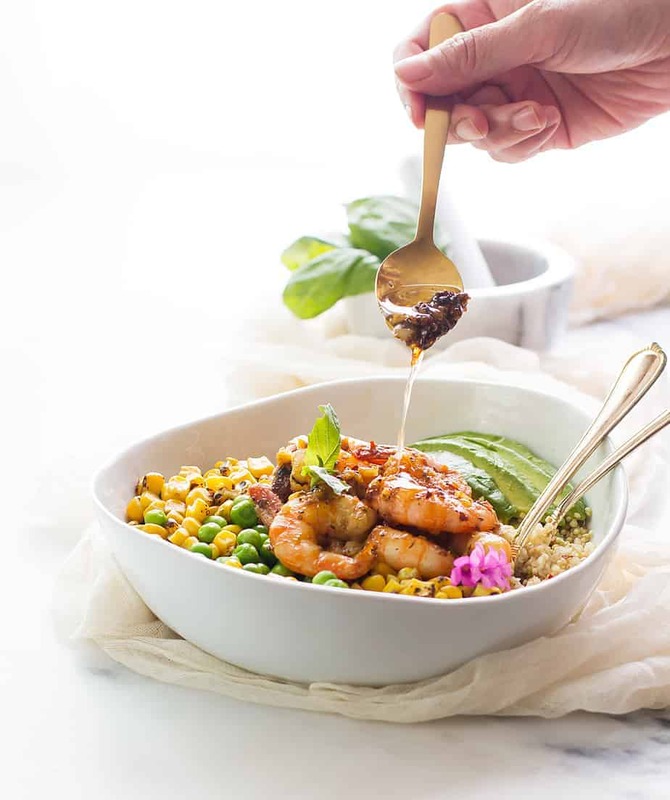 Even if your palate is accustomed to a lot of salt and sugar you can find great tasting substitutions in every entrée, side, sauce or dressing. Don’t Forget to Follow Posh Journal on Facebook and Pin this recipe! 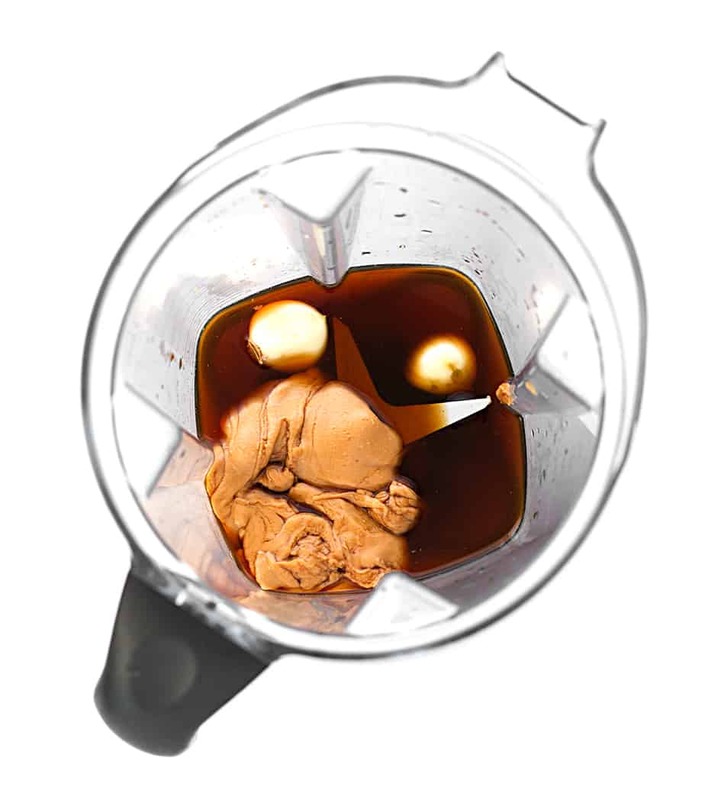 Mix all the ingredients above in a high speed blender or food processor. Store in a jar with a tight-fitting lid. You can refrigerate them for a couple of days. That sounds like a delicious salad dressing. I am definitely going to have to try your recipe! This sounds so delicious! I like sesame oil so I think I’d keep it in the ingredient list. I’ll be making a batch to try out this weekend! I like the color, it really corresponds with how authentic Thai food! Glad that I could do the peanut butter either way. I love Thai food, so I bet this sauce is great. I’ve made a peanut sauce like this before too. I’ll be trying your recipe out as well! I’ve only dined in a few Thai restaurants and I always liked their peanut sauce! This is definitely something I’d love to try to do at home. Thanks! I can’t believe it’s that easy to make! Had I known this, I would have made a peanut sauces at home. Thai food is really great and it would be nice to have it for dinner without going out. Thanks for the recipe! I did not know it was that easy to make. This peanut sauce would also taste good with grilled meats. I was able to try that once and it was delicious! oh my goodness! I’ve never tried this one and it’s really tempting at the same time! I’m pretty sure that salad dressing is yummy! I love peanut butter and I’ll have to try this. I think, I would love what it taste! Because peanut butter makes me craving everytime I see it! Thai Salad Dressing looks good. Thai food is one of my favorites, although I always order the same thing. 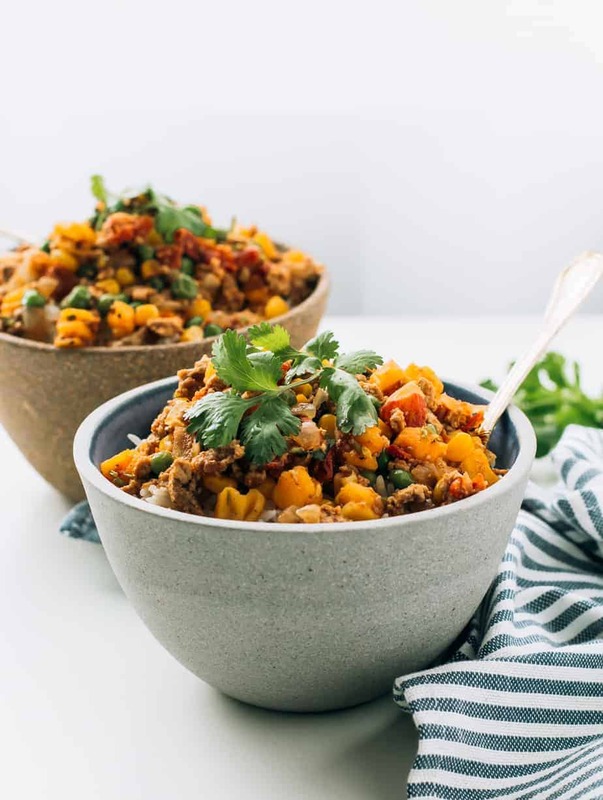 I love this recipe and can’t wait to give my salads the Thai treatment. I do always love to make salad dressings on my own as they are quiet cheaper than what you get at stores. This one looks absolutely delicious being made of peanut butter and I am going to try it out right away! This is one of the only dressings I craved during my pregnancy! store bought ones are just not the same compared to homemade dressings. Yum! Do you think that you could can this recipe ? What a great gift it would make. 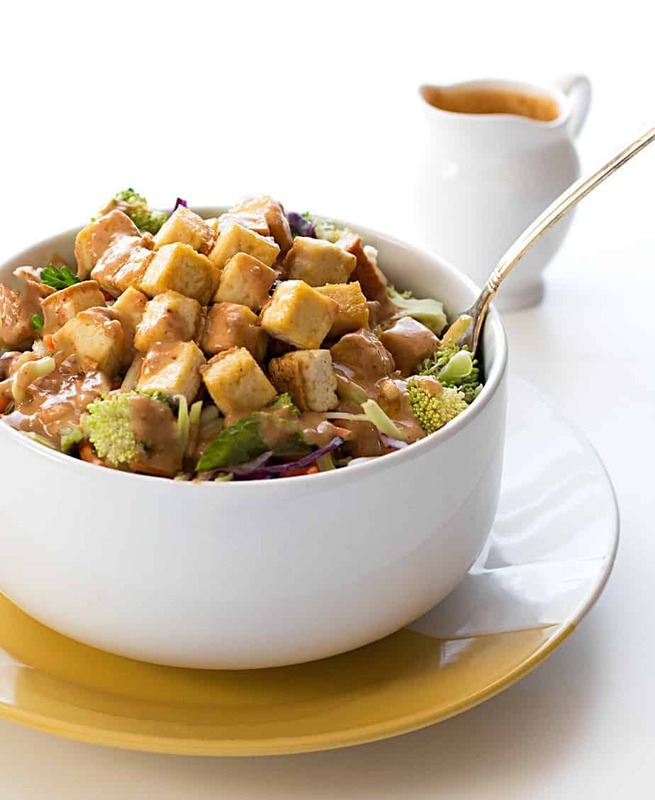 One of my favorite dressings is Thai peanut dressing. This looks fabulous! Oh I looove Thai peanut dressing! I’ll have to give this a try. I make something very similar and I can’t control myself around it haha. It’s a great dip for summer rolls. Thought I would leave a comment as I actually did make the sauce. It is fantastic. I only had Jif creamy peanut butter so I used that instead of unsweetened and used honey instead of agave nectar. The rest was followed exactly. I added siracha to my portion as i like things spicy. I will make this a lot. Used it over brocolli slaw. Very good! Thanks for the awesome review Julie! Can’t wait to try this sauce on broccoli slaw!